Two Birds have been embracing all things fancy dress this spring, it seems. 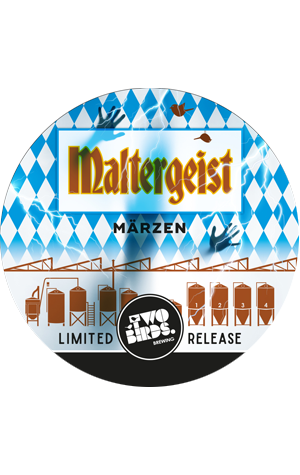 Not long ago, they were pouring beers as part of the St Ives Medieval Faire, where they debuted a Marzen (a darker, maltier form of lager with German origins that's typically brewed as an Oktoberfestbier) to keep the jousters refreshed between bouts of trying to remove each others' heads. And now said beer has morphed into their Oktoberfest release. As the name suggests, they've stuck to tradition and looked to put specialty malts including Vienna and Munich front and centre. They tell us it pours "a golden colour" and serves up "a complex mix of toasty, biscuity and bready malt with a slight spicy hop aroma and flavour", the picture completed by "a delicate sweetness." In keeping with the season, they suggest pairing it with a pretzel.